New Louisiana Republican Attorney General Jeff Landry has launched a series of reviews of his predecessor’s lawsuits — including the high-profile case against State Farm. “All cases and contracts begun in the previous administration are under review to ensure the Department of Justice upholds the rule of law, adheres to the Constitution, and protects the rights of our state and its citizens,” press secretary Ruth Wisher said in a statement. She observed Monday that we weren’t the only party curious about the Louisiana attorney general’s case. Landry defeated former Republican Attorney General Buddy Caldwell in the November 2015 election, getting 56 percent of the vote to Caldwell’s 44 percent. 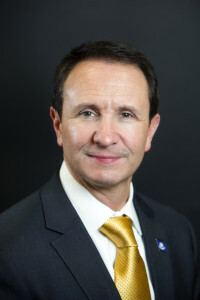 Caldwell had sued State Farm in August 2014, accusing the insurer of violating the Louisiana Unfair Trade Practices Act and Monopolies Law. His effort was featured on the February 2015 “Anderson Cooper 360” report examining collision repairer allegations of steering and poor alternative parts. The case was transferred to the federal Middle District of Florida court, along with numerous others filed in other states by shops and trade group against insurers. It was returned back to Louisiana over the summer. Louisiana court records show he amended it earlier this month, just days before Landry replaced him on Jan. 11. That amended lawsuit followed a judgement last year in favor of State Farm, according to a Jan. 18 WBRZ report. We’re attempting to obtain copies of the legal documents described here. Continue to check Repairer Driven News for details. The station’s story also included Medine’s account of improper repairs by a shop recommended by Progress. Progressive did not respond to our email request for comment Friday. Parker Auto Body owner Matt Parker, who unsuccessfully challenged incumbent Insurance Commissioner Jim Donelon last year and who is a plaintiff in a separate federal lawsuit against insurance companies, said he’d heard that Landry would still pursue the case. “They are going to continue that case against State Farm … which is a blessing to the shops,” he said.